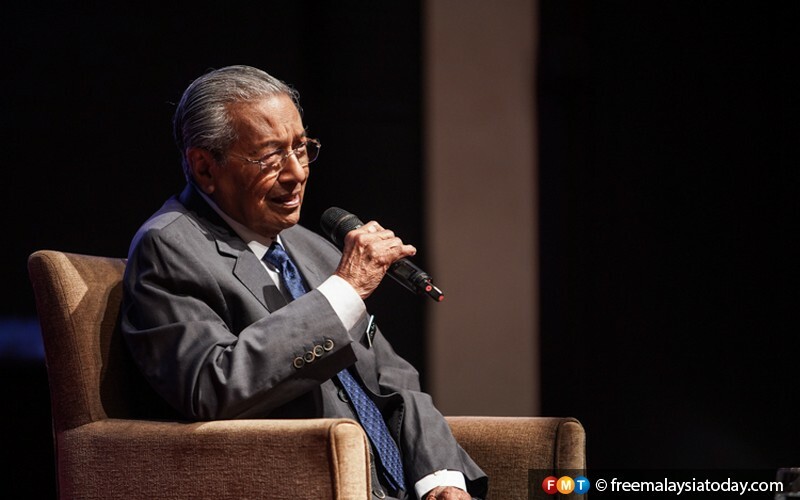 KUALA LUMPUR: Putrajaya will not interfere in any complaint received by the Independent Police Complaints and Misconduct Commission (IPCMC) which is to be set up, Prime Minister Dr Mahathir Mohamad said today. “It will be an independent commission. We do not know what they want to do. It is up to them to decide,” he said at a press conference after delivering his closing speech at the Perdana Leadership Foundation CEO Forum 2019 here today. He was responding to calls by many quarters for the speedy setting up of the IPCMC, following the Malaysian Human Rights Commission’s (Suhakam) finding on the enforced disappearance of Pastor Raymond Koh and Perlis Hope founder Amri Che Mat. Pakatan Harapan (PH), in its 14th general election manifesto, had, among others, promised to set up the IPCMC, which was proposed by the Royal Commission to Enhance the Operations and Management of the Police in 2005. Last September, the government upgraded the current Enforcement Agency Integrity Commission (EAIC) to take on the powers of the IPCMC in hopes that it would enhance its role and allow it to investigate complaints more holistically. The same month, Home Minister Muhyiddin Yassin said the government was in the final stages of drafting legislation for the establishment of the IPCMC for tabling in the Dewan Rakyat. On whether he had received a report from Suhakam following its inquiry into two missing persons, Mahathir said he had not received it, but had heard of it. Suhakam has held Bukit Aman’s Special Branch responsible for the disappearance of Pastor Raymond Koh and activist Amri Che Mat in 2017 and 2016 respectively. Meanwhile, Mahathir questioned the denial by the team of lawyers defending former prime minister Najib Razak in the case involving SRC International Sdn Bhd that the case was being delayed. “Whether or not they are delaying the trial, the fact remains that the case is being heard after six months. That is unusual. “By right, a case of such strong public interest should be speedily heard. If you delay, you won’t get the full benefits of the trial,” he said. Mahathir also said no final decision had been made on whether to sell Malaysia Airlines Berhad. “There are still many suggestions. Some are saying we should sell. Some are saying we should not sell. Some are saying we should sell half, others are saying we should have joint ventures with other countries. “All these are being considered by the government. We have not yet decided,” he added.